It’s the end to another long week, how was your week? Any plans for the weekend? 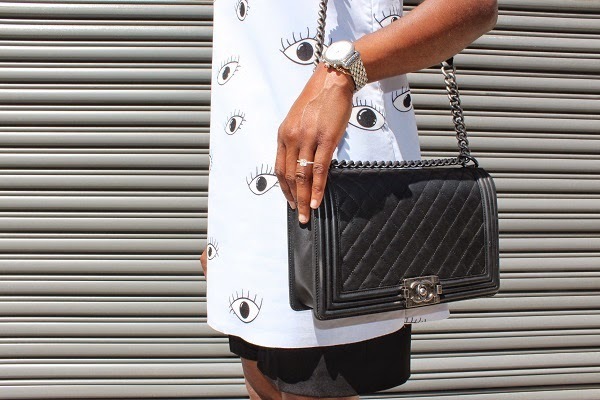 Finishing the week off in a cool and fun number… This eyes dress is defintlely eye catching (yes pun was intended) :). I’ve had this dress for a bit and just thought of a way to style it that showcases the pop nature of the piece. 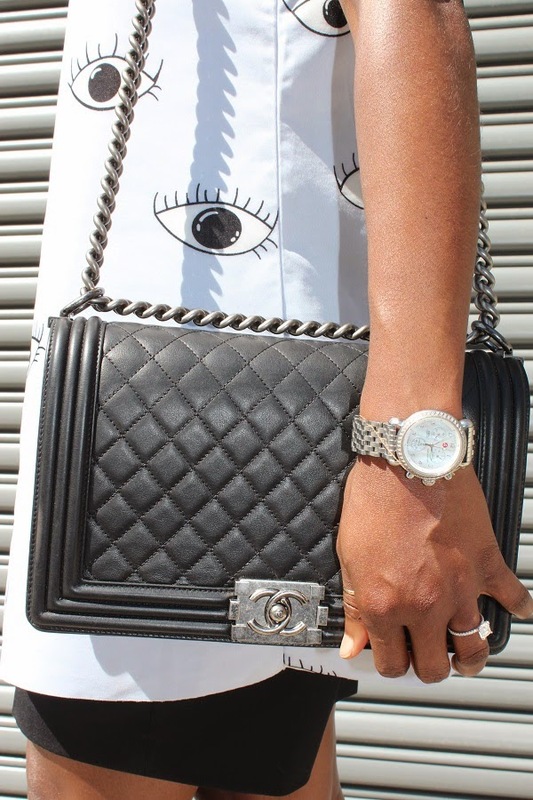 I choose the clean tailored shorts (slowly becoming a favourite) because it paired perfectly underneath the dress without adding bulk. And the metallic shoes, well, the perfect zing to complete this look. I adore this, do you?